You’re getting married! You’re in love! 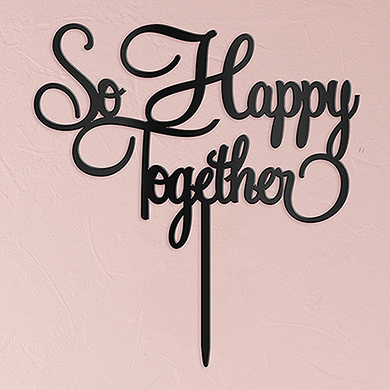 Express how happy you are with this “So Happy Together” acrylic cake topper. 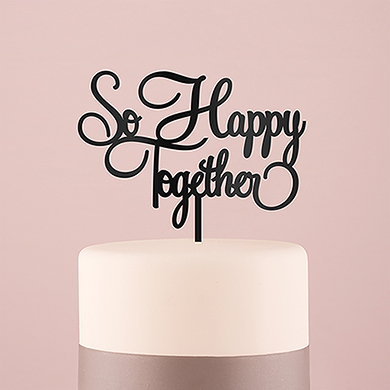 Simply insert the food safe stake in the top of your cake for a unique way to express your newlywed joy.